Cats are among the most successful and damaging invaders on islands and a significant driver of extinction and endangerment. Better understanding of their ecology can improve effective management actions such as eradication. We reviewed 72 studies of insular feral cat diet from 40 islands worldwide. Cats fed on a wide range of species from large birds and medium sized mammals to small insects with at least 248 species consumed (27 mammals, 113 birds, 34 reptiles, 3 amphibians, 2 fish and 69 invertebrates). Three mammals, 29 birds and 3 reptiles recorded in the diet of cats are listed as threatened by the IUCN. However, a few species of introduced mammals were the most frequent prey, and on almost all islands mammals and birds contributed most of the daily food intake. Latitude was positively correlated with the predation of rabbits and negatively with the predation of reptiles and invertebrates. Distance from landmass was positively correlated with predation on birds and negatively correlated with the predation of reptiles. 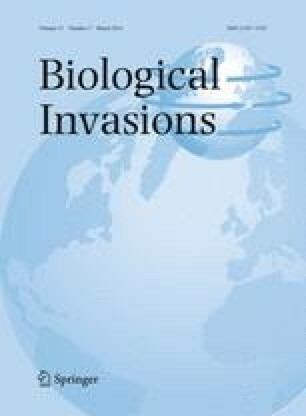 The broad range of taxa consumed by feral cats on islands suggests that they have the potential to impact almost any native species, even the smallest ones under several grams, that lack behavioral, morphological or life history adaptations to mammalian predators. Insular feral cat’s reliance on introduced mammals, which evolved with cat predation, suggests that on many islands, populations of native species have already been reduced. This contribution is dedicated to all persons who have provided information on the diet of feral cat in all islands worldwide. We are very grateful to F. Torre, P. Campagne and K. Bourgeois for helping with statistical analyses and special thanks for S. Fadda. We would like to thanks M. Fitzgerald and two anonymous referees for their helpful comments. This work has received support from the European Union and the DIREN PACA via a Life Nature project (ref. LIFE03NAT/F000105), the French National Research Agency (ALIENS project), the MEDAD (Ecotropic programme), the project CGL-2004-0161 BOS co-financed by the Spanish Ministry of Science and Education and the European Union, and a CR PACA PhD fellowship to EB. See table 6, 7 & 8.